Here are my thoughts about the Old Licking County Jail. What you see on TV is the result of many hours of investigation. It can be hit or miss, but in order for it to be "entertainment", it has to be interesting. If nothing happened the night the hunters are there, they may only rely on the little scraps of evidence they do happen to collect. Often times the paranormal teams only come up with a couple of phenomenon. Our team investigated together and alone and reached all parts of the jail to be sure we had covered everything. 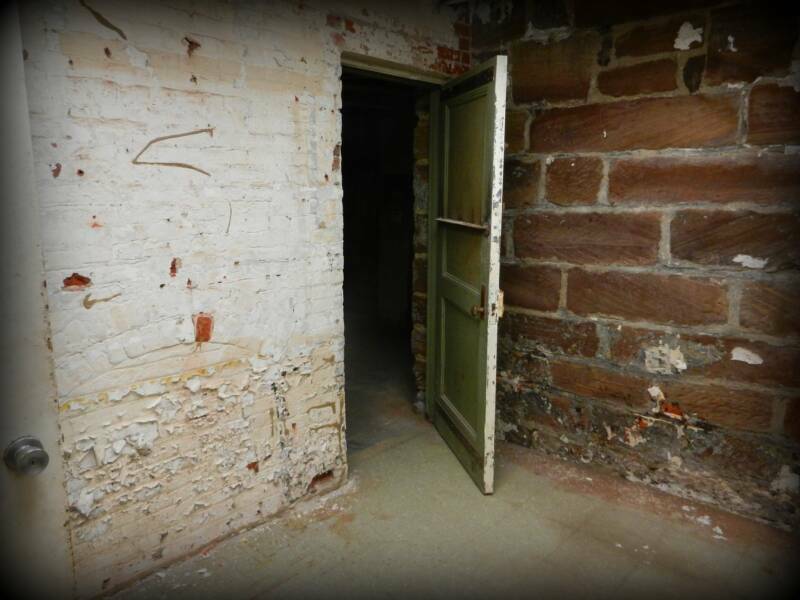 We did come up with a chilling, albeit sarcastic EVP after we asked "who's there?". We used our P-SB7 Spirit Box and captured a couple of interesting responses. We have yet to fully analyze them. There was a distraction that haunted us all night, or at least me. There were many IR Cams all over the jail. Many of the cells also had microphones connected as part of the Extreme Lockdown events. What I found distracting was the idea that our team was being "monitored" all night. It was equivalent to being spied on. When I conduct my investigations, I try to get personal and may even get emotional when soliciting responses from the dead. The thought of my questioning, comments and approach being monitored by folks in a command center is not appealing. In fact, it's a detriment. With that said, our investigation was successful for the most part. 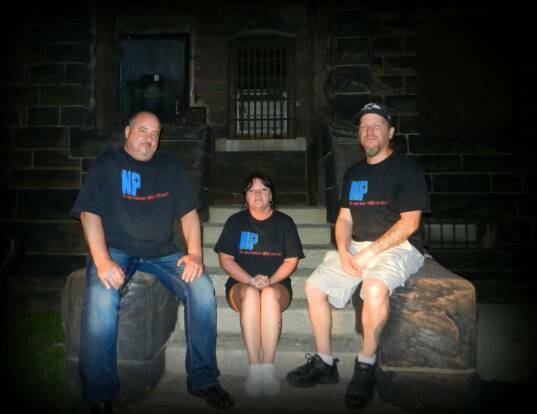 We captured EVPs, took some great photos, and had a good time overall. The only other addition to that would be the fact that the jail just simply wasn't as active as seen on certain ghost shows. Others may experience a different investigation. Paranormal activity simply doesn't manifest like turning on a switch. That expectation must be kept in check. There are no definite methods for gaining evidence if the location simply isn't haunted. Click on the link to the left for The Travel Channel's Ghost Adventures episode and other information about this location. 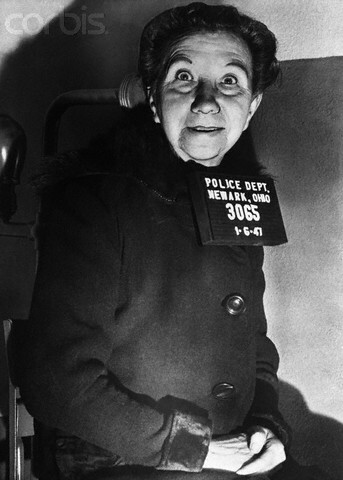 Old Licking County Jail - 1/7/1947-Newark, OH: Mrs. Laura Bell Devlin, 72, shown here, who murdered her 75-year-old husband, Thomas, then dismembered his body with a hacksaw and scattered the parts in the backyard, today professed her dislike for jail. "No," she asserted. She kept repeating "Can I go home now? ', unmoved and in no way penitent for the alleged crime. [08-07-14] EVP captured on audio by team member Brian Miller. Listen for the voice after Brian asks "Who's there?". You hear what sounds like, "Who is there? ".